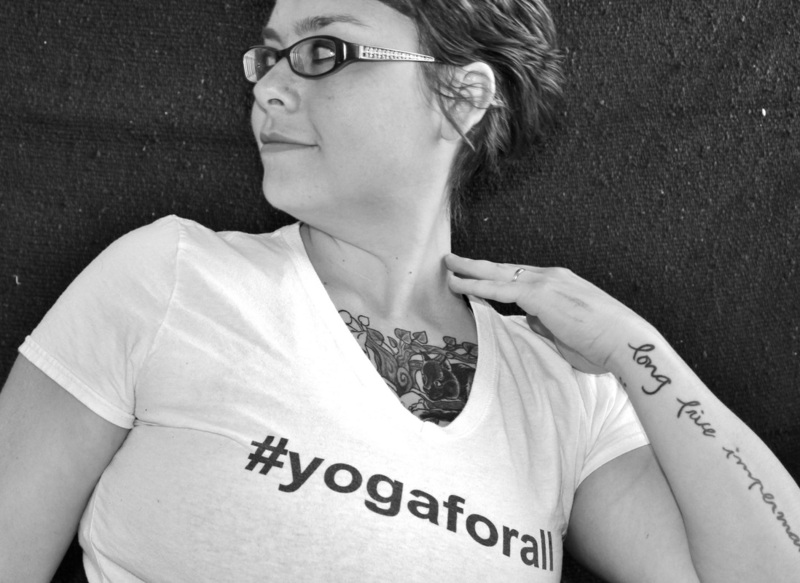 Sarah is a compassionate, bold and passionate teacher of yoga and a well-spoken social change activist. Exquisitely gifted at transforming feelings of unworthiness and disconnection, she inspires self-reflection and deepening connection, through clear and layer meaning instruction. Integrating the ancient teachings into real and often heartbreaking life circumstances, Sarah has been described as refreshingly honest and real, which encourages her students to find themselves more and bring their raised consciousness into the world. Sarah is a Star Trek geek (a.k.a a "Trekker"), a passionate cat person, vegan and ardent lover of tea. She is a senior teacher and assistant and head researcher for Shannon Paige and is a published photographer. She has been featured on Gaiam TV and the "Eat Breathe Thrive" facilitator training video, as well as the "Yoga and Body Image Coalition” blog.